This Meyda Tiffany original four light chandelier is inspired by the art and architecture of Charles Rennie Mackintosh and the Glasgow school of art. 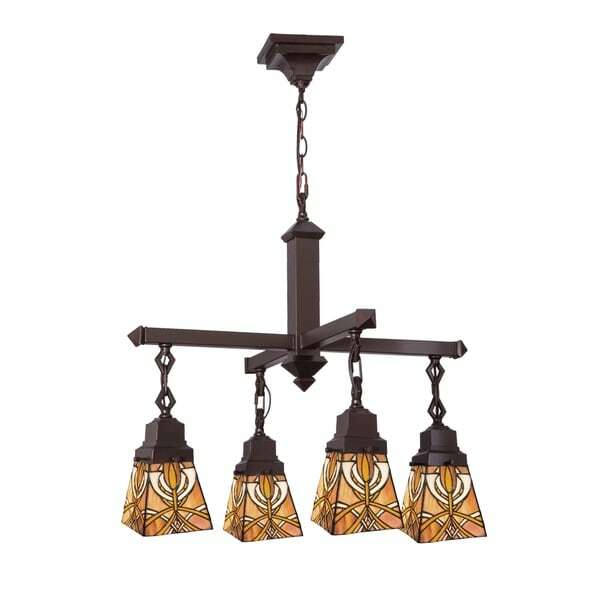 Amber-Mauve and Gold stained glass make up the intricate patterned shades that are suspended from Mission style hardware in a warm Mahogany Bronze finish. Dimensions 26.0 In. X 26.0 In. X 27.0 In.